The PhotoProX consists of a plastic shell that goes around the iPhone like most snap-on cases, which you must then insert into a larger, clear plastic casing that completely protects the iPhone. The full enclosure is IPX-8 waterproof rated (up to 33 feet), and will protect your iPhone from falls, dust, dirt, snow, water—you name it. The bottom of the case features a hinged door that can be opened, giving you access to the Lightning and headphone ports. A clear film covers your phone's screen so you can still operate it without damaging it. However, the real fun begins when you attach any of the four included lenses. Optrix provides a carrying case for the included lenses, which include your choice of fisheye, telephoto, macro, and flat. 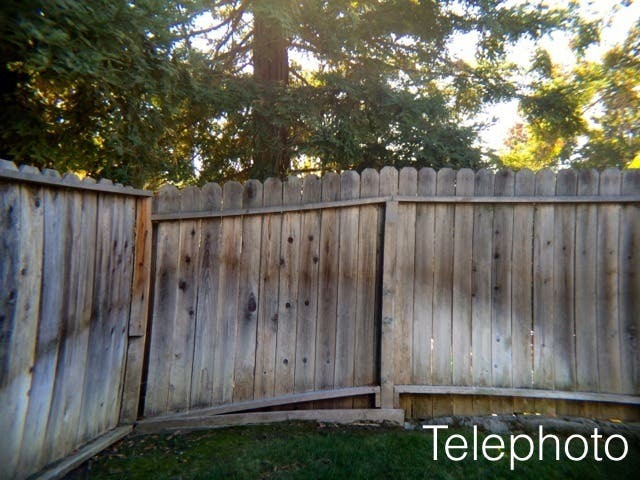 Each lens screws into the PhotoProX over the rear camera, which then completely seals off your iPhone from the elements. Each lens performs as advertised. 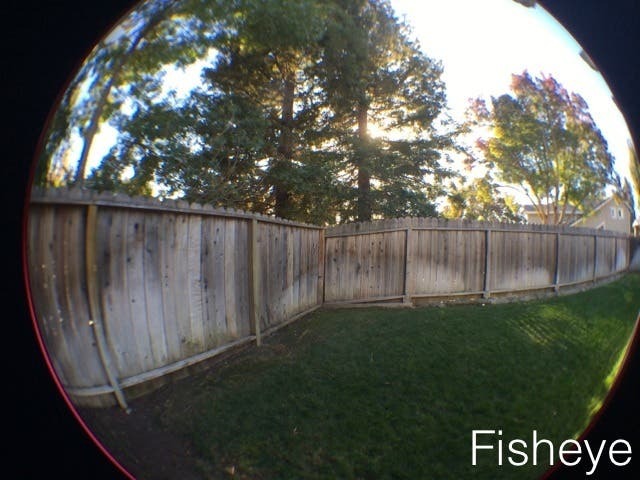 The 175-degree fisheye lens will give you a very wide shot with the familiar distortion around the edges of your photos. 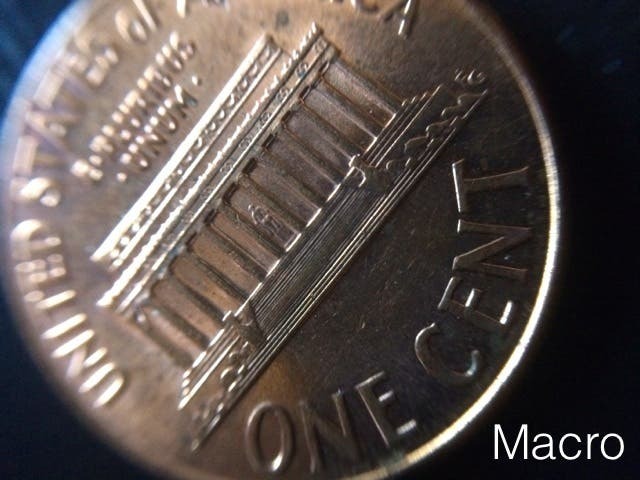 The macro lens provides a 10x zoom for detailed shots of anything you'd like to get up close to. The 2x telephoto lens will allow you to take much clearer photos than you can with the iPhone's built-in zoom function, while adding a slight bit of unwanted distortion around the edges of the photo. The flat lens doesn't affect the photos you take, but simply provides a way to keep your phone sealed in the case. Changing lenses is quick and painless. With the included lens case, it's easy to store and keep track of each lens. The plastic shell that holds your iPhone inside the PhotoProX is actually a pretty decent case on its own, but leaves a good portion of the top and bottom of your iPhone exposed. 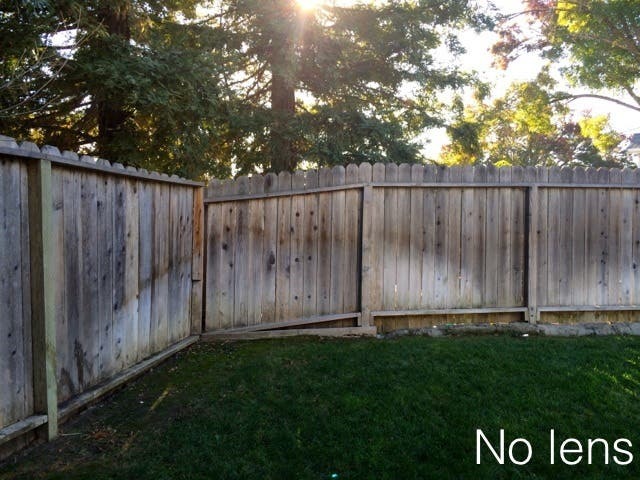 It's a decent trade off and will allow you to save some time when deciding to use the full PhotoProX. The full case is rather bulky and not pocketable by any means. Although you can still use your phone's touchscreen while in the PhotoProX, touch input is still moderately dampened. That wouldn't be an issue, as you can use the Volume Up button to take photos and videos, but the case's volume button overlays severely degrade the tactility of the buttons, requiring much harder presses to register. The PhotoProX case is a solid choice for someone looking use their iPhone to document their activities in extreme conditions. 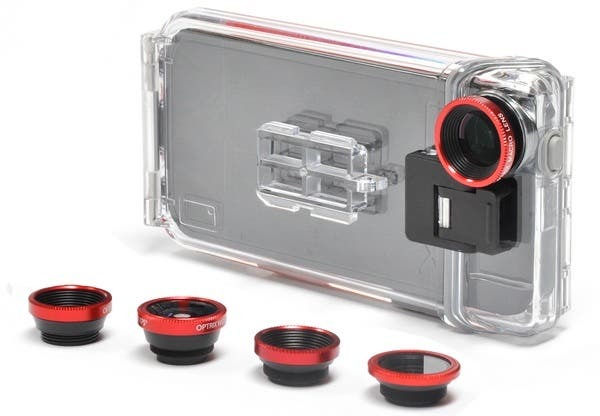 However, at nearly $150, the price may be a little steep for some, especially with Olloclip's $70 4-in-ONE lens offering. For more information on the PhotoProX case, visit the Optrix website.